Napoletana Ugly Dog is Famous! When Alex and I were in Naples this past May we would come across the same dog everyday, it must have belonged to the owner/employee of the newspaper stand that existed nearby. 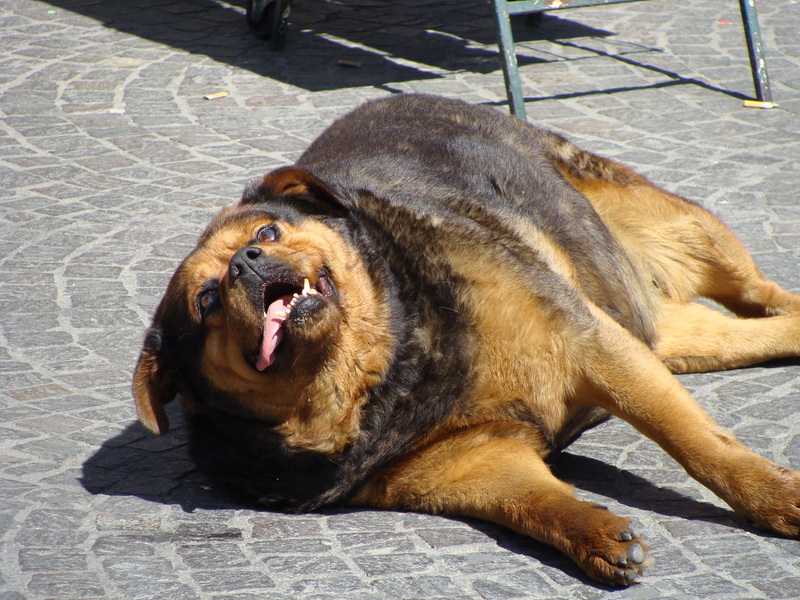 Now, in Naples you see “gangs” of homeless dogs everywhere, but we took notice to this dog because of how fugly it was (fat + ugly). It was always lounging about, proudly displaying its crazy snaggletooth! Just yesterday I discovered a new blogger here. She lives in the Spanish Quarter of Naples (same area we saw Uncle Jeffrey while we were there). Please go see this post and scroll down a bit! :-) I love this kind of stuff….apparently it’s a “she,” from now on we will refer to her as Aunt Jeffrey! p.s. I just did a google search and look what I found….again!